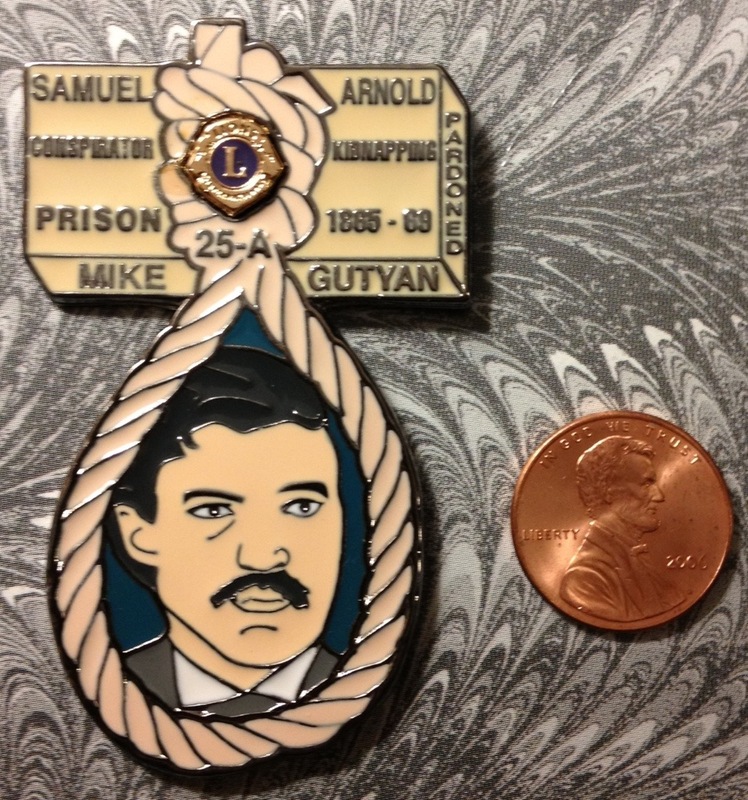 eBay, that wonderful online auction house for the everyman, is full of unique objects up for sale. When not searching for a new, “Inflatable Unicorn Horn” for my cat, I tend to do searches for Lincoln assassination related things. Most of the time it’s the same old books and prints. 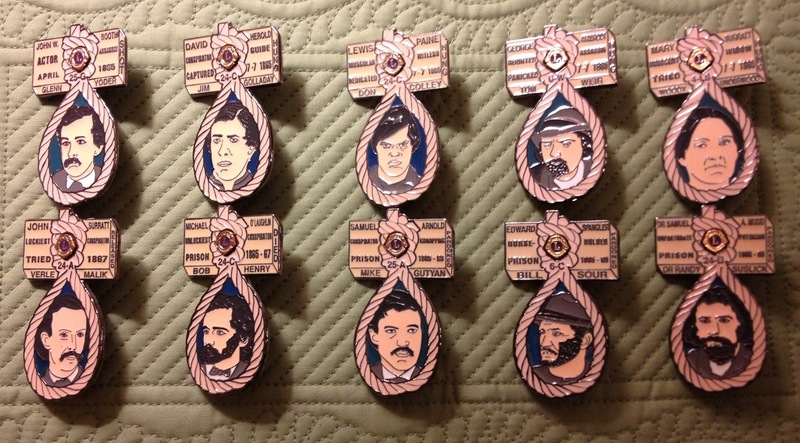 Yawn… Last week, however, I found myself bidding on, and winning, some truly one-of-a-kind Lincoln assassination tchotchkes: conspirator pins! 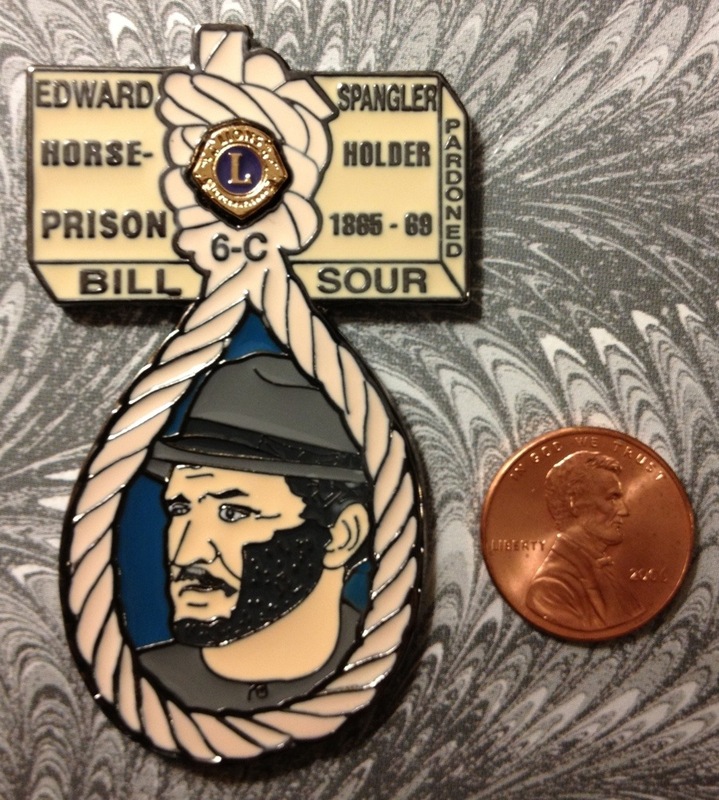 Though little description came with the pins, it appears as though some history minded Lions Club members decided to make pins for themselves based on the different conspirators. 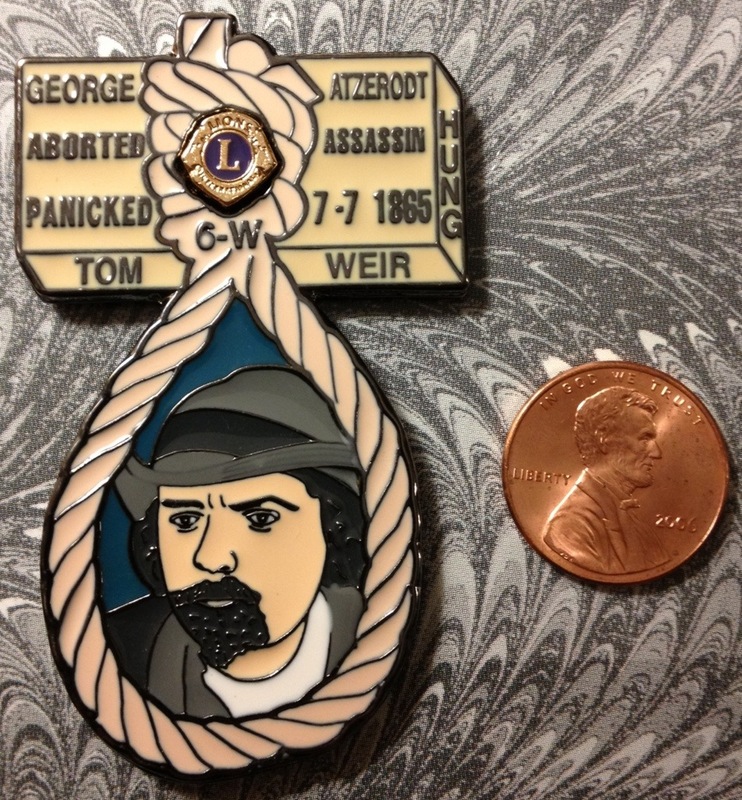 Each pin contains an image and name of a conspirator, a description of their involvement in a couple words, and, on the side, their ultimate fate. 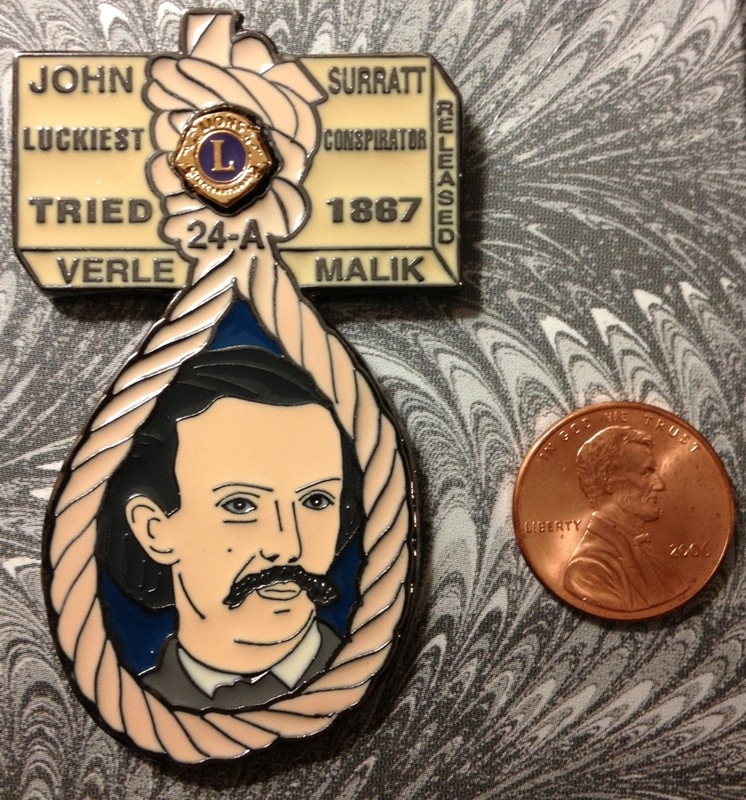 The pins also contain the name of the Lions Club person for whom the pin was presumedly made for. You’ll notice they made the understandable error of confusing Hartman Richter’s mug shot for Dr. Mudd. 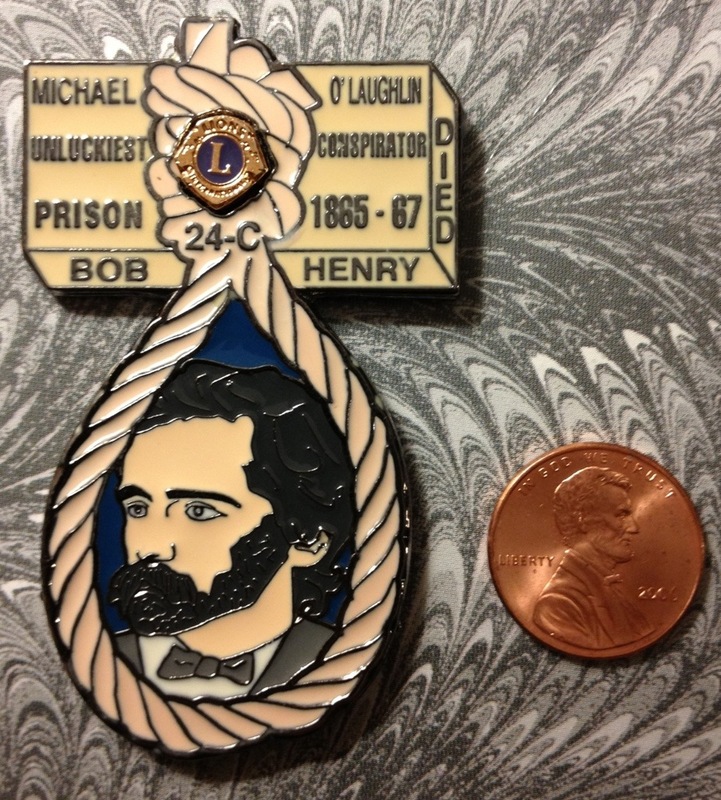 It also appears that Michael O’Laughlen and Edman Spangler got a bit more facial hair. I’ll also leave it up to you to decide how accurate their descriptions of each conspirator is. There were impulse buys, but not ones that I regret…yet. 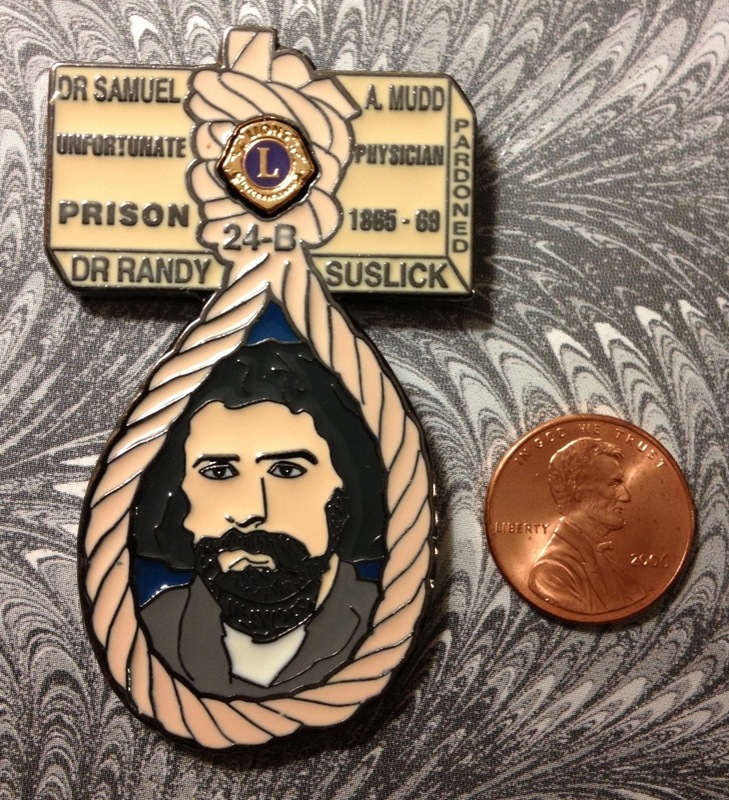 It just goes to show you that, no matter what you’re looking for, eBay can surprise you sometimes. Now I’m going back to searching for more practical things like the most affordable can of unicorn meat. I know what you mean, Carolyn. My eBay spending is like an eclipse – I only do it a couple times a year, but I buy a great deal when I do. Sadly for my finances, I’m in a buying mood recently. 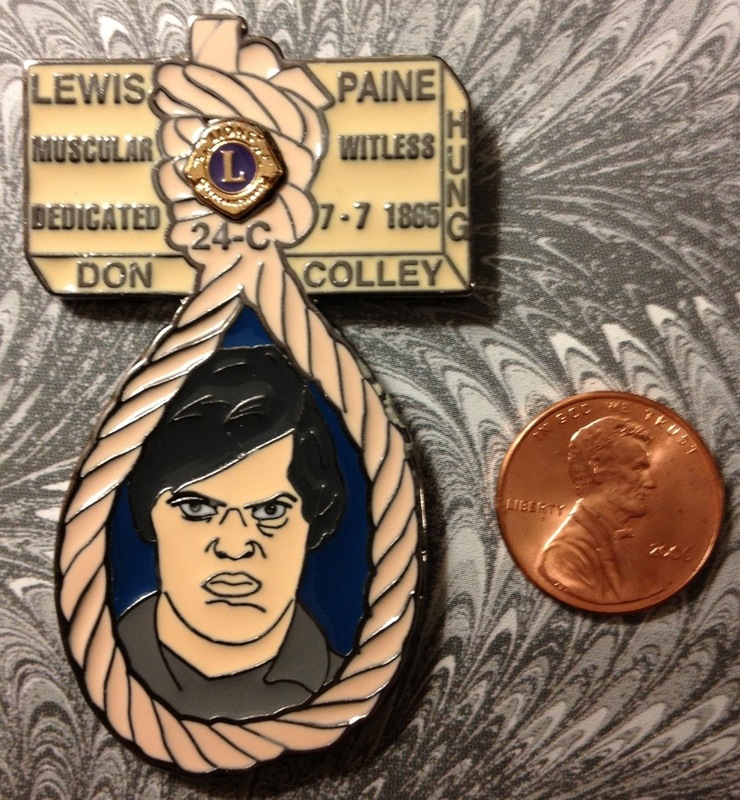 OMG – I WANT the Lew Powell one!! Don’t agree with the verbiage, but…. I knew that “witless” would get your attention, Betty. But “dedicated” isn’t so bad. Nice sleuthing, Dave! 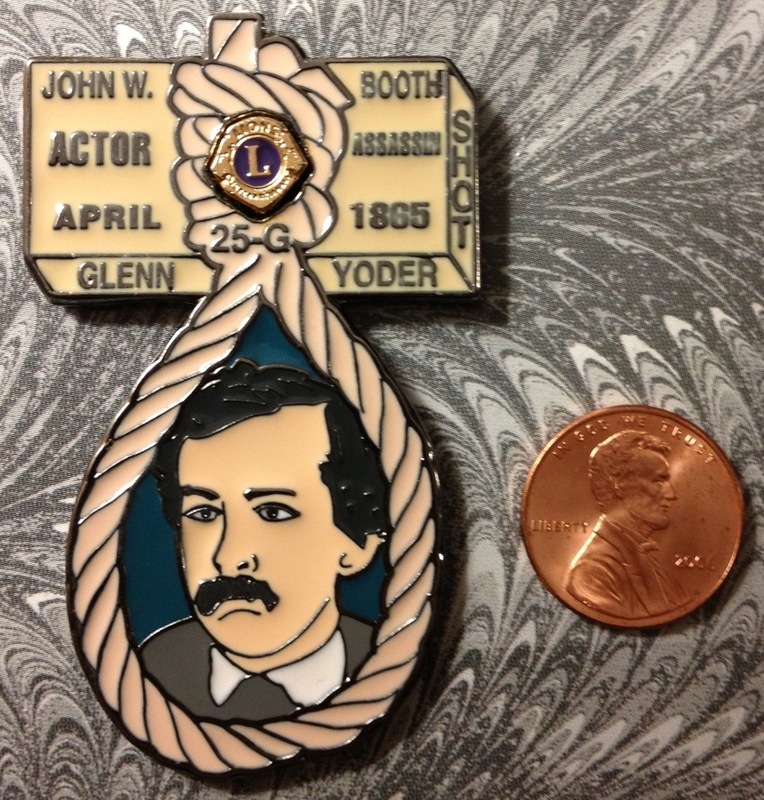 I saw only the JWB one offered on ebay, and didn’t think to follow up and see if the seller had others. That Richter photo was mistakenly used for Mudd circa 1962 either in a NY Times Book Review or the Times’ Sunday Magazine article by a Nash K. Berger.. I bet I still have it!. My mother-in-law always corrects that it should be “hanged”. More importantly Dave, I have a extruded plastic unicorn horn for my pet badger, but he doesn’t like it. He keeps scratching it off. It doesn’t have much wear n tear, but it’s yours if you are interested. Jim, your mother-in-law is correct. I learned the hard way back when I was still teaching (from the school principal no less). But what if it’s a unicorn cat, sweetie? Also, Richard Sloan suggested they would look nice mounted and framed. Well Dave, those are the coolest things ever. I am speechless! 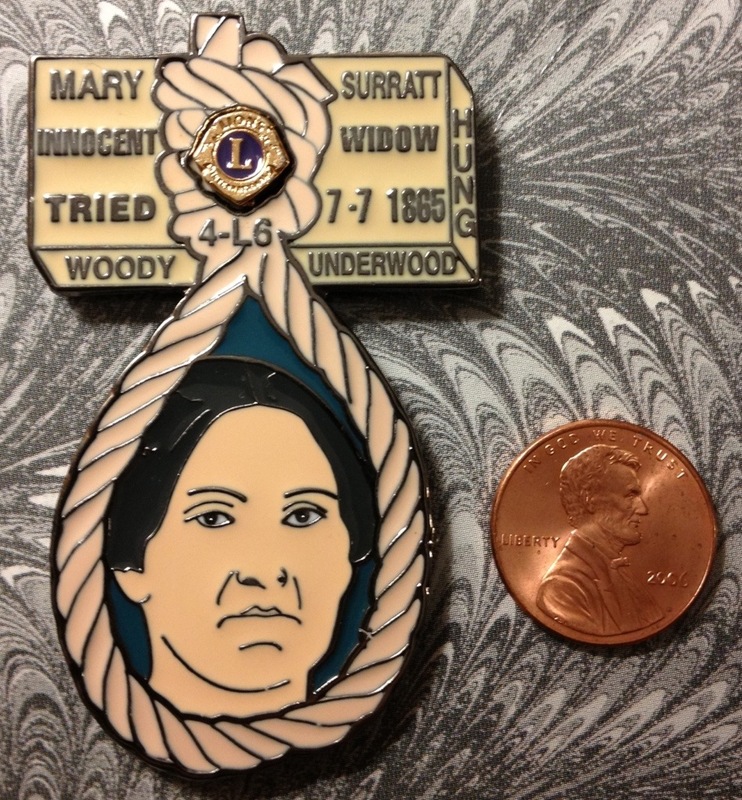 And you can thank your lucky stars that I am… Just please don’t let Joan Chaconas know such things exist – have mercy on the Surratt House gift shop. 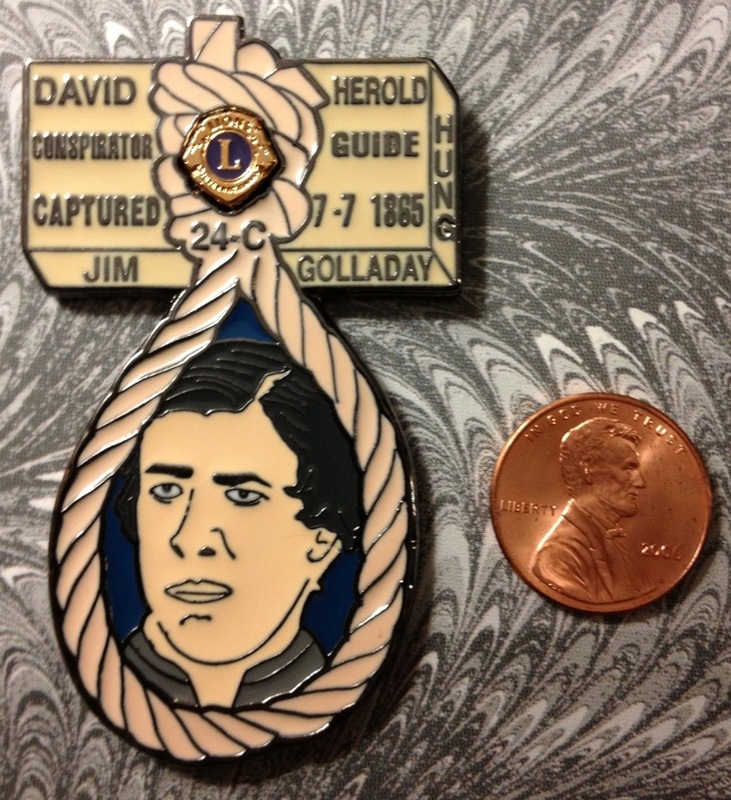 Hi Dave, Very interesting pins. What is their history? I too share the ebay addition! Ive found many of my “little” treasures there!! !